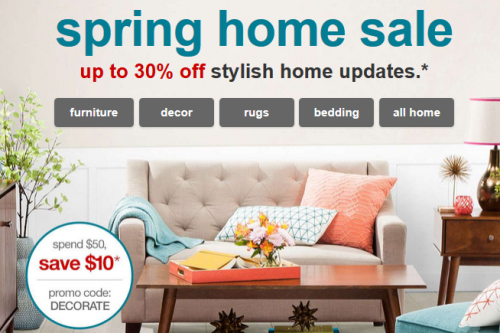 This week Target.com is offering up to 30% off select home items, plus, you can get $10 off $50 purchase. Simply use code DECORATE at checkout. This will make for some pretty sweet deals! Score an extra 5% off + FREE shipping if you use your Target REDcard. FREE shipping on orders of $25 or more with any other form of payment.